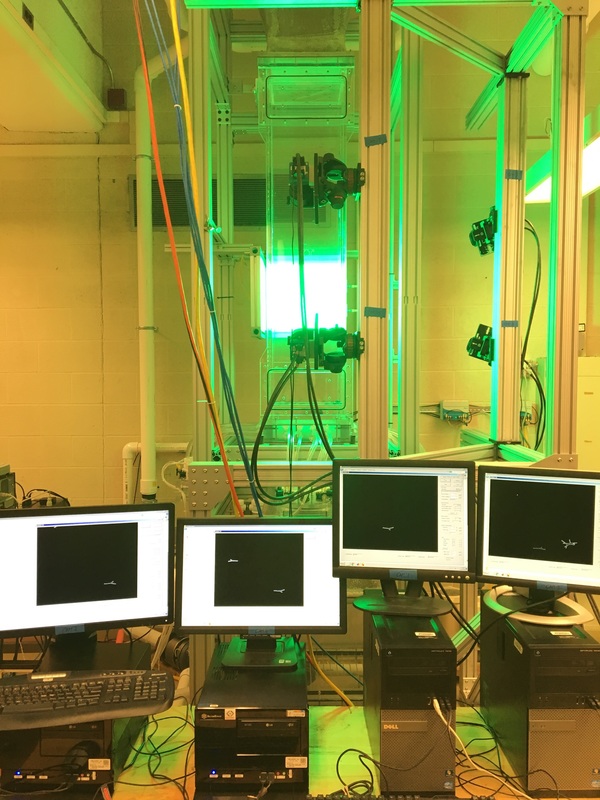 In a dark room in the basement of Exley, four high-speed cameras surround a turbulent water tunnel filled with fluorescent, 3D-printed particles. This is the research headquarters of the Voth laboratory, a physics lab that studies fluid dynamics and turbulence. The practical applications range from describing the internal structure of clouds to elucidating plankton migration in the oceans. How could fluid dynamics possibly have anything to do with clouds? Let’s go back into the books to see. Until the early 2000s, an interesting puzzle in meteorology existed. Before delving into the puzzle, we first must understand the basics of clouds and rain formation. The white cotton-ball substance we see in the sky is actually made up of tiny water clusters in liquid or ice form that reflect light to appear white. Water in gaseous form also surrounds these liquid and ice water clusters. When the humidity and the gaseous water concentrations increase, at a certain temperature-dependent point, the water crashes out of gas form and into liquid form. Small dust particles are present in clouds and serve as the surfaces on which this gaseous water condenses. Once the water cluster that is nucleated upon a small dust particle is heavy enough, it falls to earth. This is the traditional mechanism of rain formation. However, the speed at which large enough water clusters form has puzzled physicists studying turbulence for years. A cloud is a turbulent system, one in which there is random motion of fluids. This may sound confusing—what is the fluid motion of a cloud? In physics, a fluid is a gas or liquid. So the fluid motion of a cloud is the air that moves in every which way. Traditionally, the random turbulent motion of air within a cloud has connoted equally random motion of the ice and liquid water particles in the system. Crunching the numbers, if these water particles randomly moved around and randomly collided with each other as to form large enough bundles to fall to earth, rain formation would be far too slow. This was the puzzle. Finally, in a 2001 issue of Physical Review Letters, two theoretical physicists and a mathematician solved this puzzle by showing that structure exists within random turbulent motion. That is, the inside of a turbulent cloud actually has an internal order where there exist pockets of highly concentrated water molecules. These pockets allow more rapid condensation and the natural rate of rain formation we observe in the clouds. To understand the idea of having structure inside a turbulent system, imagine stirring a dollop of red paint into a tin of white paint. Eventually, the paint will become pink. 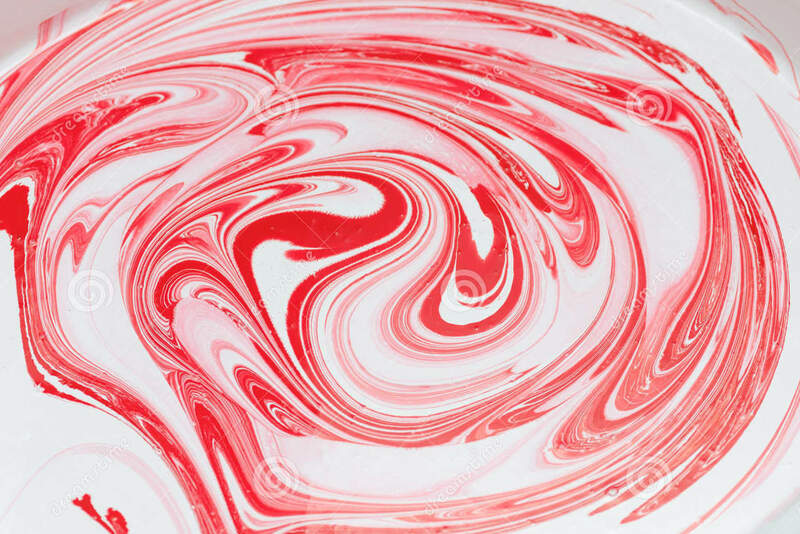 But looking at the early stages of mixing, the red paint forms double-sided teardrop structures, stretched about the point of mixing (imagine pinching either side of a circle and stretching it in opposite directions). These structures are not dependent on there being two different colors of paint. These are real properties of the fluid at large. That is, even when the paint is a homogenous pink mixture, these teardrop formations still exist while mixing; you simply can’t see them. Thus, the story of rain formation became clearer. The motion inside a cloud is not entirely random. Pockets of higher concentrations of ice and water exist, and so their collision and hence condensation rate is much more rapid than previously predicted. The idea that turbulent systems could beget ordered particles was revolutionary to the field of fluid dynamics. The Voth lab aims to experimentally describe the nature of the order within turbulence. Put another way, they want to see the way particles of different sizes and shapes move inside a turbulent system. Professor Greg Voth has a half smile that emerges when he explains ideas he realizes will blow out students’ previous assumptions. His jest humbly shrouds the important role he has in his field of research. Prior to Voth’s work, most physicists studying particle movement in turbulent systems used spherical particles. In his graduate studies, his work immediately took off as he quickly showed that non-spherical particles could elucidate exponentially more features of particle movement than spheres. Voth attended Wheaton College for undergraduate, got his PhD at Cornell University, and completed his Post Doctorate at Haverford College. Voth recalled his path of pursuing research that would lead him toward a position with an emphasis on undergraduate research and teaching. The Voth lab generalizes the question of particle movement in a turbulent system in order to address it experimentally. Instead of an air tunnel, they use water so that they can put in larger and denser particles that are easier to work with. After putting in these particles, they record the particles’ positions over large periods of time to observe any trends. Graduate student Stefan Kramel explained that in some of his experiments, he leaves the particles in the water tunnel for one or two weeks. A large part of the work goes into data compression and analysis. The first challenge that exists in this work is to record a minimal amount of data so as not to overwhelm the servers while still recording enough data to repaint an accurate representation of what went on in the water tunnel. In two weeks of recording, the four cameras would produce a total of 1,344 hours of data, far too much to be usable. In order to reduce this data, the lab employs “real time image compression,” Kramel explained. The cameras only capture data when a particle enters the field of view. Furthermore, the camera does not capture a traditional picture with two-dimensional data in a rectangle. Instead, it only captures the brightness of the crystal, ignoring the black data of the background. The Voth lab then has a computer program to recreate a three-dimensional digital representation from all four cameras of each time point in the experiment. “Once you have the position and orientation of the particles as a function of time, you have all the data you need to move on to analysis,” Kramel said. Analyzing the data requires finding any statistically significant trends in position, orientation, or rotation of these particles in the turbulent flow. For example, the Voth lab has observed that disc-shaped particles sediment horizontally. Imagine dropping thousands of miniature 1-millimeter diameter kitchen plates in a tunnel of turbulent water. The Voth lab has proven that they favor falling in a horizontal position, with the flat side down. When Professor Voth described this to me, I was immediately confused, thinking that a disc would fall vertically, which to me seemed the most aerodynamic. Certainly, a disc would fall more rapidly in a vertical position than in a horizontal one, but this does not mean that this is the position that is favored. Imagine a leaf falling. As it spirals down, it samples various conformations but regardless it does not favor the vertical position. The same holds ever more strongly for small discs in a turbulent system. The Voth lab uses a multitude of different particles in order to measure different properties of the turbulent system. Early work in the field only employed spherical particles, because they were easiest to work with and model. But by using spheres, one loses rotational information. Rods allow their orientation to be measured, but rotation about a long axis is lost. Most recently, the Voth lab has worked with chiral dipole particles. 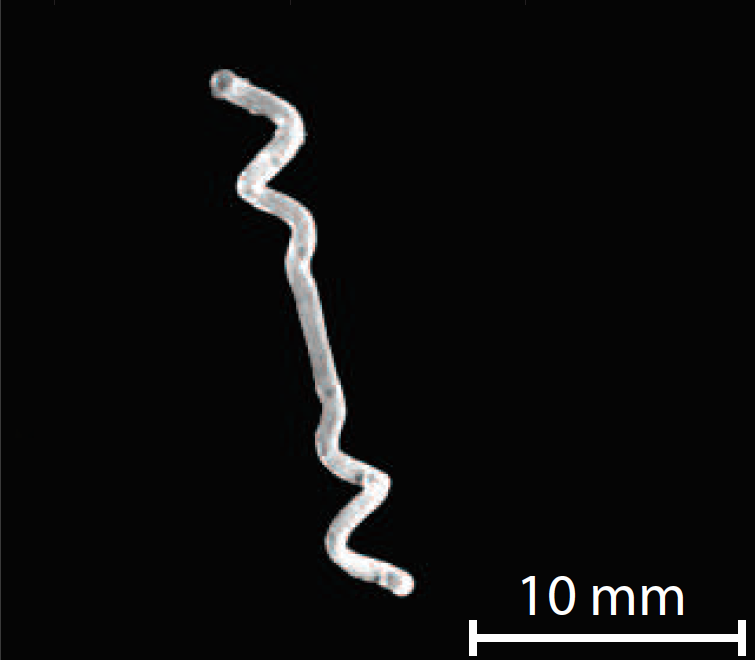 These particles have a corkscrew on either end separated by a rod. This structure allows information to be observed about not only lateral motion but also rotationally in all three dimensions, unlike rods. Fascinatingly, these corkscrew particles were shown to rotate in an organized manner in turbulence. That is, the traditional expectation was that it was impossible to extract order from a random chaotic environment because in one moment the screw might rotate one way, but equally probable in the next moment is that the screw will rotate the other way. Voth explains how this is not the case for turbulent systems. “Chiral dipoles have a shape matched to the structures that exist in turbulent flows so they rotate more one way than the other,” he explained. While turbulence is random, it still does have an ordered structure. Think of the double-teardrop shape that forms when mixing paint. If a miniature corkscrew was situated in the eye of the teardrop, the liquid surrounding it is stretched on either end, thus rotating the corkscrew on one end in one direction, and the corkscrew on the other end in the same way. Because the corkscrews are oriented in a productive way, the stretching phenomena seen in turbulent flow results in a net positive movement of the corkscrew. One’s imagination might run wild, imagining tiny corkscrew generators, each with another smaller oppositely facing corkscrew on the inside, floating around in the oceans, creating energy from the chaotic motion of the turbulence. However, Professor Voth brings such reveries to a halt. Nonetheless, the proof of principle is remarkable. With rational design, particles can be used to extract energy, although small amounts, from chaotic turbulent motion. So the next time your friend posts an Instagram of their foam-capped latte, tell them what’s really going on.